T.G.I.F! And I am especially thankful that I will be going out to celebrate a friend’s birthday tonight. So first things first, the finer details, such as nails! I was recently sent these divine nail strips from Jamberry Nails and was waiting on the perfect opportunity to try them out. I have done a previous post on nail strips by Sally Hansen Nail Effects, see HERE. So I was familiar with the process. 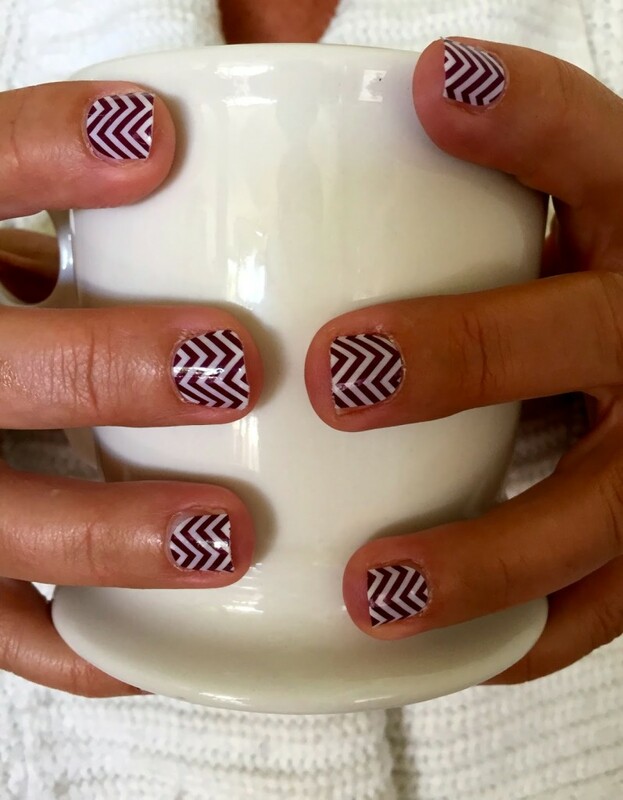 I chose a Burberry Chevron design. It is ultra important that you prep the nail so it is free from oil and to rough up the nail bed a bit with the file if you want it to stick. They are supposed to last up to 2 weeks. This is everyitng that came in my little kit. A catalogue of the plethora of designs, a heat bag, cuticle stick, rubber cuticle pusher, nail file, coconut oil for removal, a prep wipe and one strip of nails sheets. I had to cut the nail sheet down the middle to make enough. Pretty simple. I used a hairdryer to warm the sheet before I put it on the nail, smoothed it down with the soft cuticle stick, and then trimmed the excess with my nail scissors. The heat of the hairdryer was super hot on my skin so I kept a low setting. But I can see why this is important. I have a bean bag that came with my set, I will heat it up tomorrow and go over the nails for maintenance. For step by step instructions, as well as trouble-shooting, CLICK HERE. Jam on! Have you ever tried Jamberry? Leave me a comment below, I read and respond to ALL comments. Disclosure: I was sent this pack by consultants for Jamberry. Written content and photos are property of YummoMummo. « My Magic (Skincare) Wand! 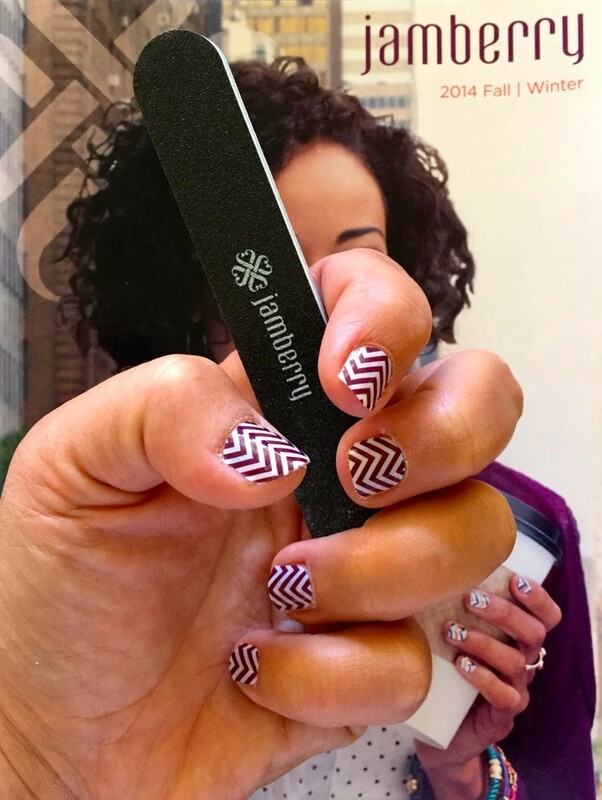 Yes, for Jamberry, thats a very important process. Different to other brands I have tried. Thanks for reading Allison. Melissa your review is lovely, as are your photographs! 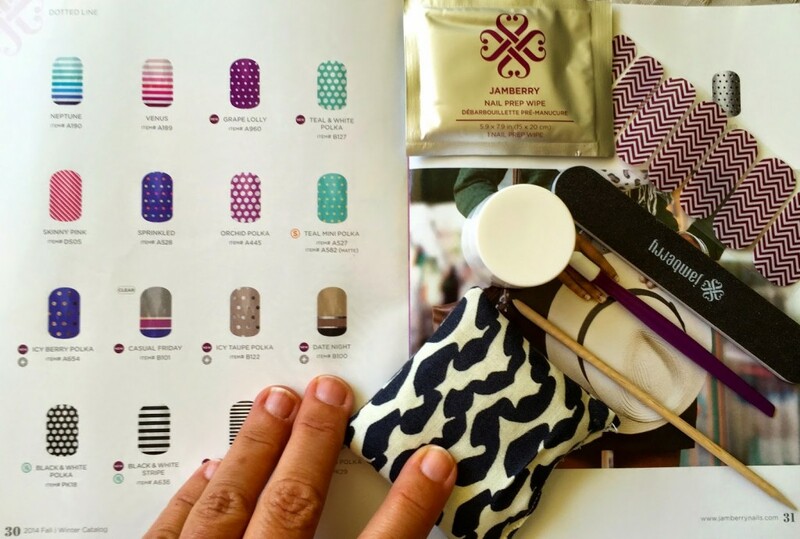 I'm a consultant with Jamberry nails and Team Manager, and I am so happy to see you took the time for this wonderful post to explain the basics about Jamberry nail wraps! We have great options for the woman on the go, the conservative, the gluten-free/vegan crowd, the fashion-forward, you name it! 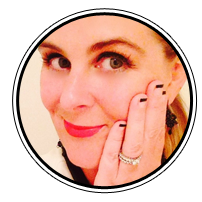 If you'd like free samples for friends and family please email me or find me on facebook, we are launching in your native land of Australia, as well as New Zealand, in just a few short weeks, and I'd love get samples out to those interested in learning more! You are in a league of your own Melissa! xo looking forward to reading and seeing more ofyou!